Four demonstrators, four stands and four awards up for grabs. 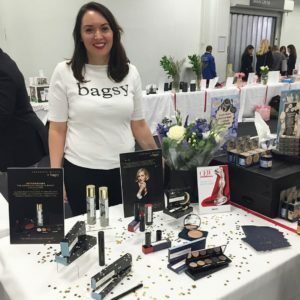 We took our latest Bagsy collection (Savannah Miller x bagsy) and MR. Jamie Stevens along to the event where we demonstrated to 750 CEW members, guests and the press at the CEW Demonstrator Evening 2017. 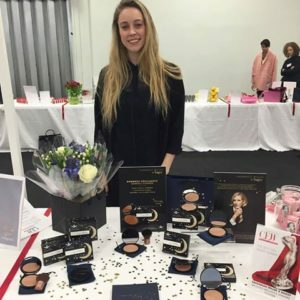 Having won the ‘Best New Makeup Product for Face – Mass’ CEW Award with Wonder Wand in 2016, we didn’t hesitate to jot this event into our beauty calendar. The general focus for all three Bagsy stands was placed upon our latest collection, created in collaboration with prestigious Fashion Designer – Savannah Miller. A selection of products from the 6-piece capsule collection were demonstrated throughout the evening event. While the ‘Best New Brand’ entry featured the entire collection, the ‘Best New Products for Face’ stand demonstrated the shimmery, extremely golden glow that the Savannah Miller x bagsy Bronzed Brilliance Shimmer Powder can deliver with a few simple swirls of the brush. 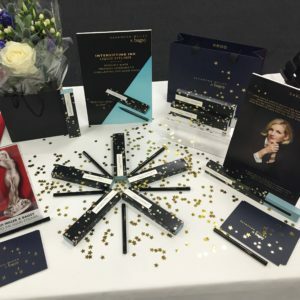 The stand for ‘Best New Product for Eyes’ involved a live showcase of the Savannah Miller x bagsy Intensifying Ink Liquid Eyeliner and its reversible capabilities (which seemed to impress attendees!). 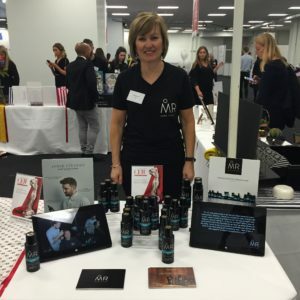 The stand for ‘Best New Men’s Grooming Product’ featured the MR. Jamie Stevens Disguise spray, an aerosol spray that delivers colour pigments directly onto the scalp for instant coverage, blending seamlessly with your natural colour. One thing is for sure – the team had a fantastic time and we all have our fingers crossed for another award, to follow in the footsteps of last year’s success. Winners will be revealed at the announcement lunch on 28th April 2017 – wish us luck!